A long-time Brick Township Police Department K9 who is credited with saving at least one life, Eros, has died. “It is with great sadness that I am informing you of the passing of my K-9 partner, Eros,” said Ron Braen, a retired member of the department. Eros started with the Brick Township Police Department as the department’s tracking dog in 2007. 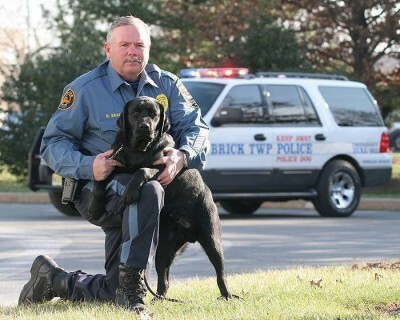 Braen, upon retirement from the Brick department in 2012, joined the New Jersey Humane Police along with his K9 companion. Eros was “instrumental” in a number of police operations, Braen said in a social media post Saturday. Braen has been a legendary K9 officer in Brick Township. Before being partnered with Eros, he handled Mas and Neo, who also were integral in lifesaving police investigations in Brick.